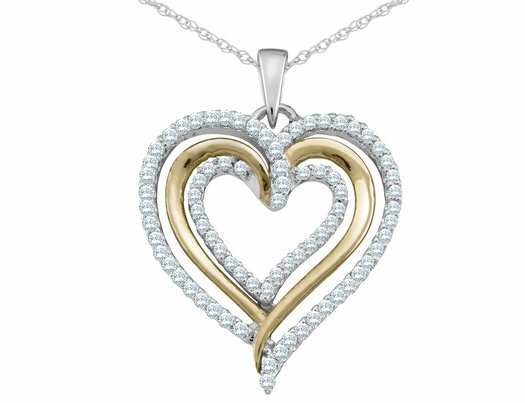 Beauty and romance set the tone for this classic diamond heart pendant necklace. Ninety-three round brilliant diamonds twinkle throughout the heart-shaped pendant for a total of 0.33 carats (ctw). Set in beautifully polished 10 karat white and yellow gold, this necklace comes complete with a matching 18 inch chain. See item video above.